Schools have until April 5 to vie for one of 20 3D printers being given away by open source proponent Aleph Objects. 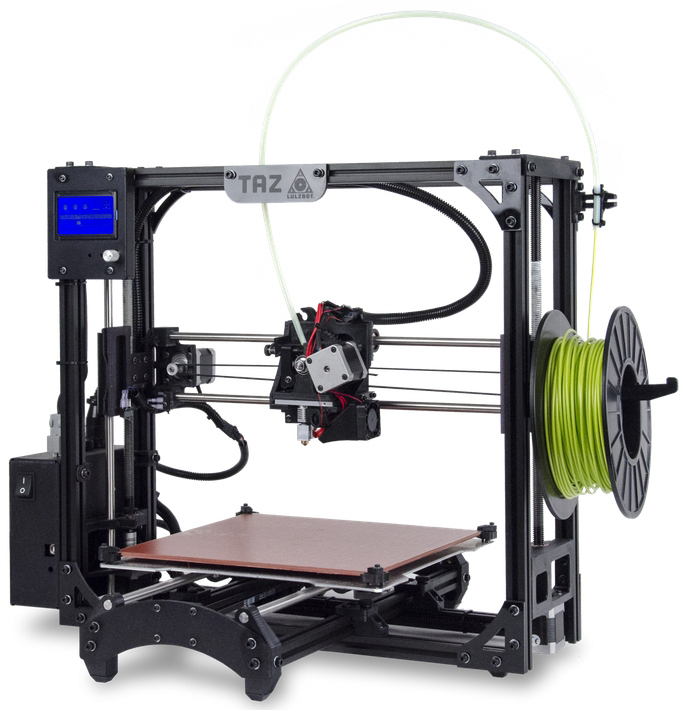 The company's Lulzbot TAZ 5 sells for $2,200 and can print an object that's 11.7 inches by 10.8 inches by 9.8 inches. Unlike many sub-$3,000 3D printers, this unit can print in more than ABS plastic; it accommodates wood filled filaments, polyester, bronze and copper filled filaments, polycarbonate, nylon and other materials. Also, the company encourages its customers to copy, modify and convert any of its hardware and software. They encourage the use of free software and open source hardware. The entry form asks for particulars. Further details are available on the contest site. LulzBbot 3D printers are in use at Colorado State University, the University of North Carolina at Chapel Hill and Carnegie Mellon University, among others.